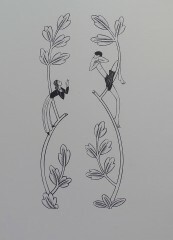 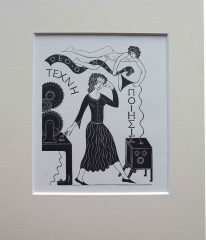 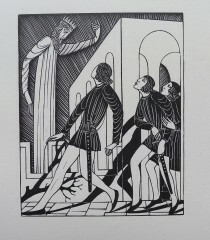 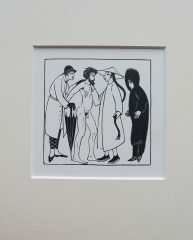 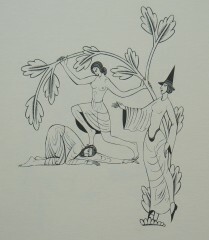 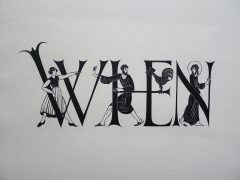 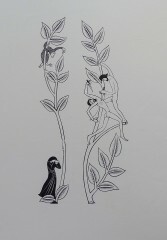 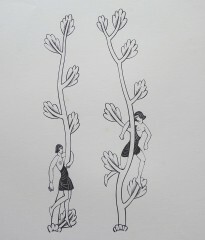 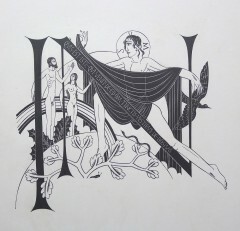 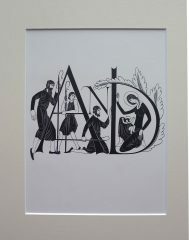 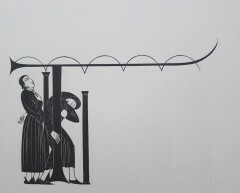 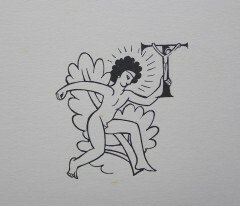 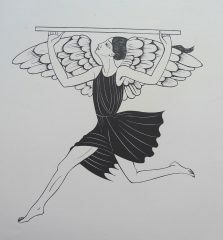 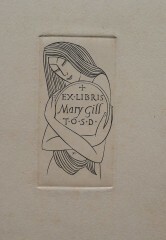 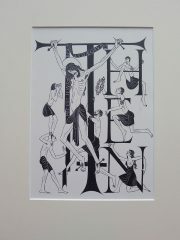 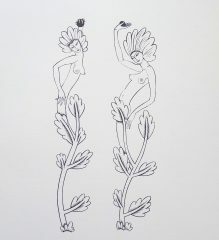 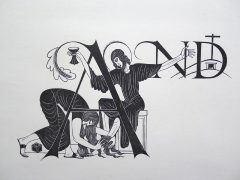 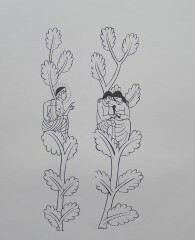 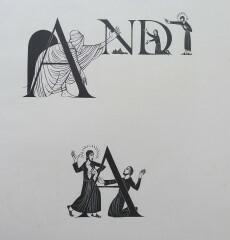 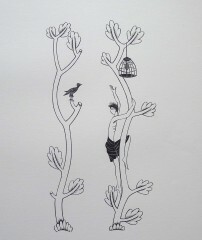 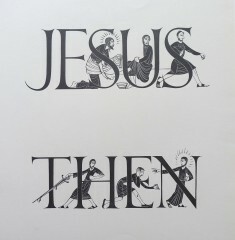 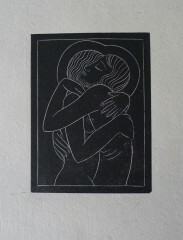 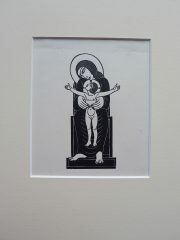 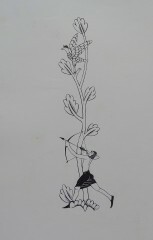 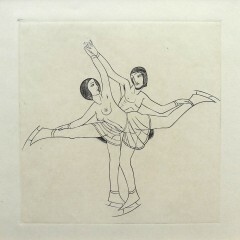 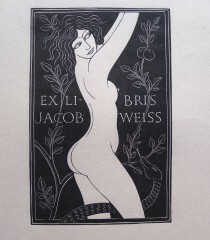 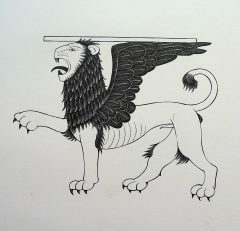 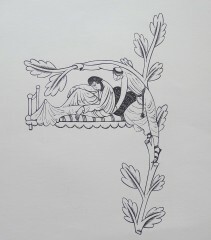 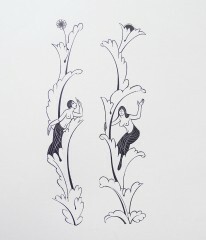 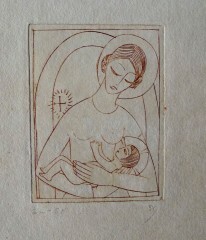 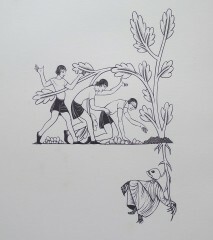 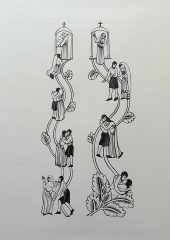 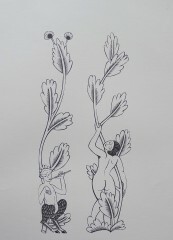 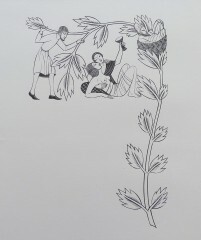 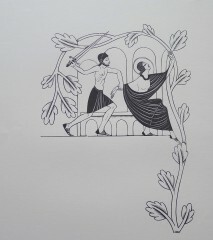 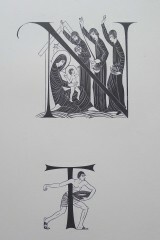 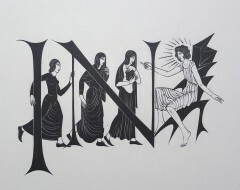 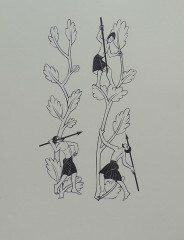 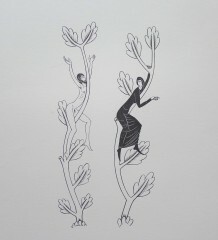 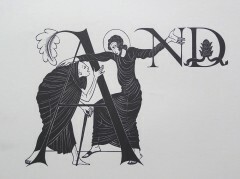 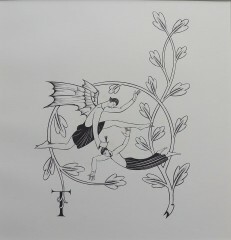 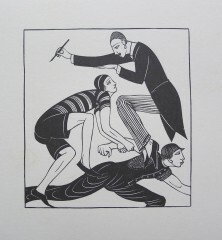 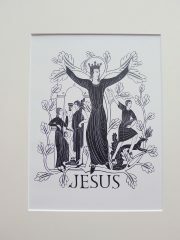 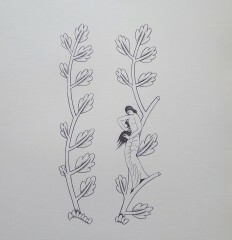 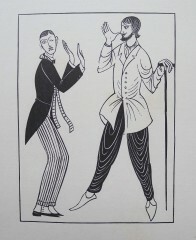 Eric Gill , wood engraver, sculptor and typographer was born in Brighton, Sussex. 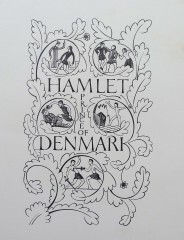 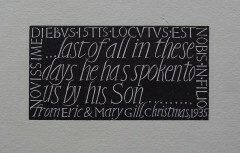 In 1900, whilst in London training under W.H Caroe, the architect to the Ecclesiastical Commissioner, he attended evening classes at Central School of Arts and Crafts and studied letter design under Edward Johnston. 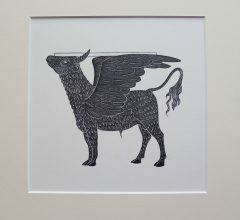 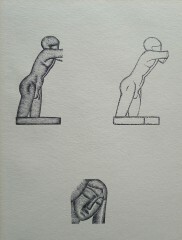 Gill began to carve in stone and make sculpture. 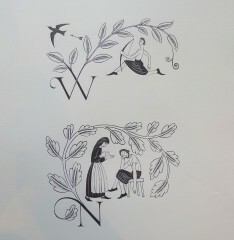 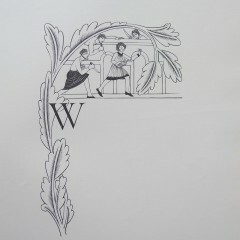 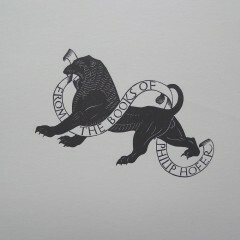 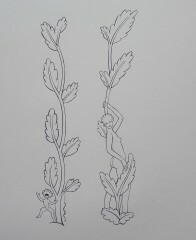 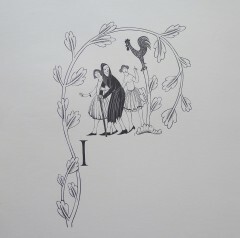 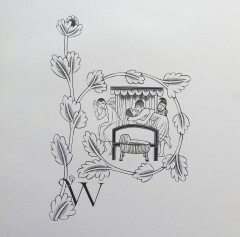 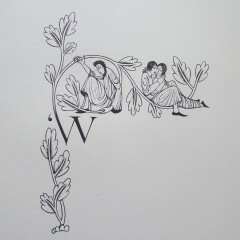 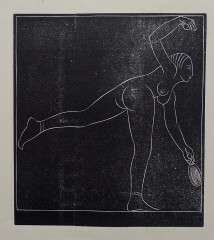 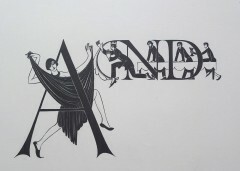 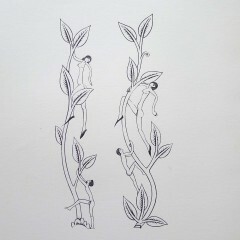 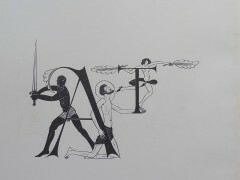 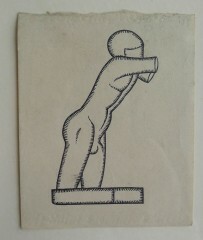 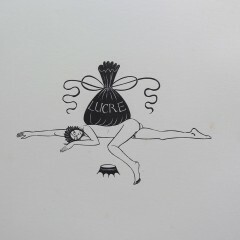 By 1904 Gill was making a living from letter engraving and in 1910 and he began making figure sculpture. 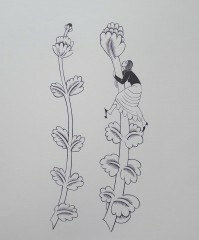 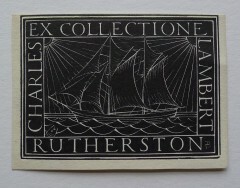 His first solo exhibition was at the Chenil Gallery, London, 1911. 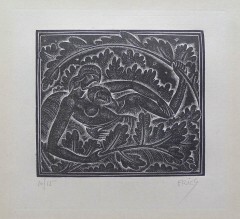 Gill lived in Ditchling, Sussex 1907-24 where a community of artists also thrived. 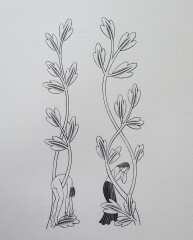 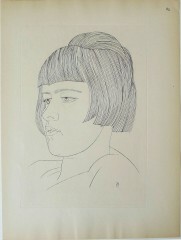 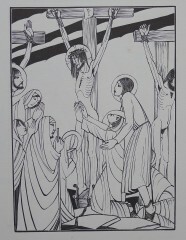 Gill’s Roman Catholic views were influential upon the community and in 1917 a religious order of artists was conceived. 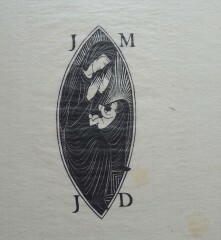 In 1921 members of the community formed the Guild of St Joseph and St Dominic. 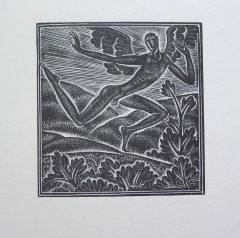 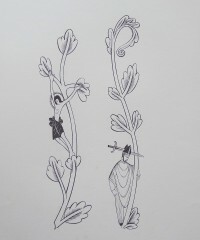 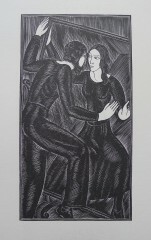 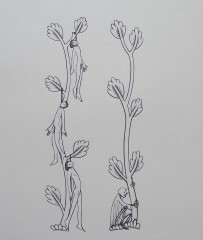 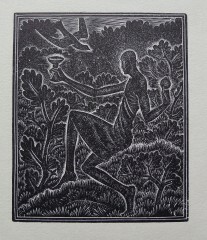 Among the artists surrounding him at Ditchling were David Jones, Hagreen, Pepler, and Johnston. 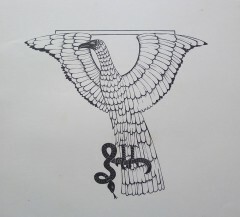 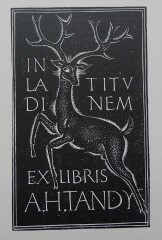 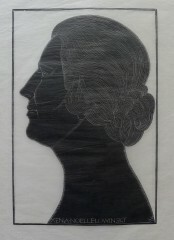 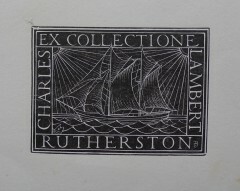 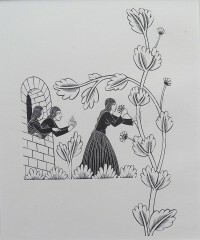 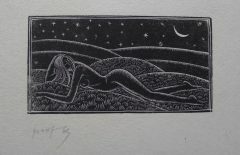 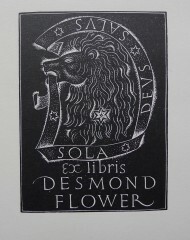 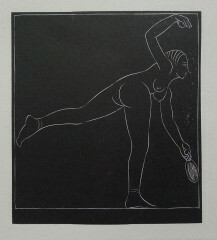 In 1924 he moved to Capel-y-ffin, near Hay-on Wye and over the next four years produced much of his best engraved work. 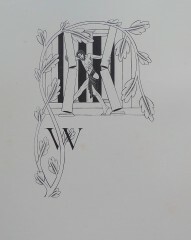 In 1928 Gills large family moved to High Wycombe, Buckingham.